We offer all-year sports fishing on all levels and for all ages. Whether you are an extreme fly fisherman or the family seeks a combination of forest, wilderness and fishing, we can arrange what you need  ranging from wild forest lakes to white-water rapids filled with rainbow and brown trout of the absolutely best quality. At Hökensås Sportfiske we speak Swedish and English fluently. Hökensås Sportfiske is open year-round, but our main period is in season when the waters are free of ice. Spring and autumn are the top period, though company outings can be arranged all year. Hökensås Sportfiske has access to fishing lakes in wondrous natural settings, both on the Hökensås Ridge and in the Tiveden forest. Both areas include fantastic hiking trails through areas with berries, mushrooms and wild animals. There are smaller cities nearby to explore, such as Tidaholm, Hjo, Habo and Mullsjö, as well as the offerings of a larger city at Jönköping. Hökensås Sportfiske AB is the largest in Sweden, with its own unique rainbow trout breeding stock. The companys two cultivations produce around 80 tons game fish for its own waters, as well as to much of the other sports fishing areas in southern and central Sweden. All our licensed waters are continuously stocked with rainbow and brown trout. Vättern char is released in certain lakes, while others have natural families of pike and perch. Stocked fish have an average weight of 1.5 kg, but fish up to 7 kg have been landed in our waters. Hökensås Sportfiske is a full-service company with course, guiding and a fully equipped sports fishing shop. Equipment can be hired. Rowboats are available for hire in four lakes, but motors are not allowed in the nature reserve. Hökensås Holiday Village is lies next door and offers cabins and camping sites, as well as the Hökensås Restaurant and Catering with full service in the restaurant and store. 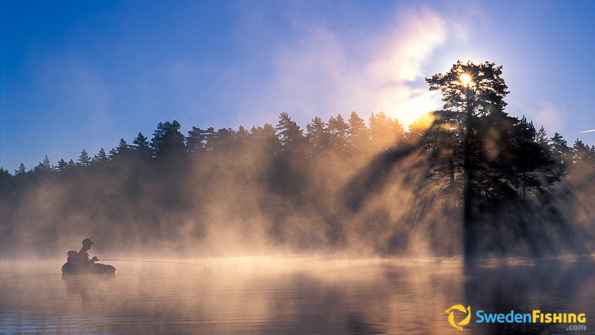 Hökensås Sportfiske has access to around 30 lakes for different types of sports fishing. In some lakes spin, angling and fly are permitted, in others only spin and fly, yet others only fly. There are two special allocation lakes and one running water stretch in Baltak reserved for fly-fishing. Fishing from float ring is allowed in certain lakes, limited in the nature reserve. Each fishing licence permits a maximum of three game fishes. Ones three have been landed and killed, the licence is void and new one must be bought. At Baltak brown trout may not be taken 1/10 through 31/11 and the general minimum measure there is 45 cm. Hökensås Sportfiske is located next to the Hökensås Holiday Village with 48 cabins and 150 sites for caravans and campers. The cabins vary from 40 to 53 sq.m., all fully equipped with kitchenette (stove, fan and microwave), shower/WC, hot and cold running water, refrigerator and freezer, and wireless network. The camping area also has a hot tub, tennis court, mini-golf and a fly-casting course. 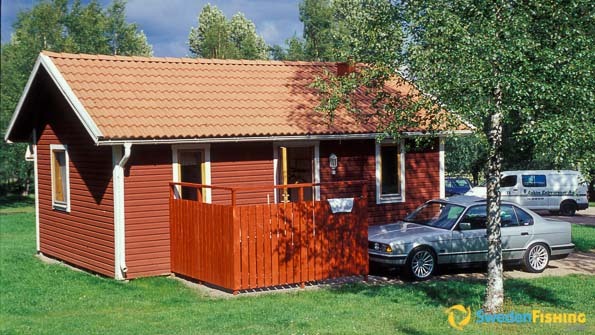 There are several other companies with cabins for hire in the area and Hökensås lies only 15 km from the Tidaholm Stadshotell with 24 rooms (11 doubles). The fishing centre is located in Håkängen on Hökensås about 40 km NNW of Jönköping Airport, about 15 km SE of Tidaholm. 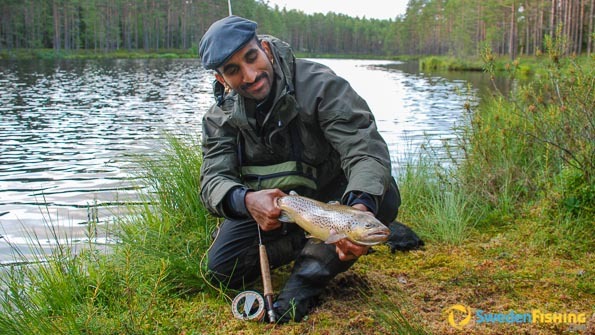 Our fishing areas are: (1) Sports fishing area on Hökensås, located in a nature reserve; (2) Baltak stream fishing in the Tidan River, 5 km S of Tidaholm; and (3) Tiveden, 25 km NNW of Karlsborg and 30 km SW of Askersund.